Lupe Soto Realtor has been creating unprecedented opportunities that have earned the prestige and respect of many home buyers, home sellers, savvy investors and influential people in San Fernando Valley Palmdale & Lancaster in Los Angeles and internationally. Buy a house or condo with good feng shui, Sell your property faster using Feng Shui principles. Welcome to Burbank CA the "Media Capital of the World"
Whether you are looking for BUY a home with good Feng Shui - or thinking of SELLING your home condo or investment for TOP dollar using feng shui principles - or would like to fill your vacancy and LEASE your property with a quality tenant - or you are thinking of RELOCATING to Burbank San Fernando Valley Los Angeles Count, please take a look at the abundance of searches and real estate service including affordable & chic CONDO or TOWNHOME for sale or NEW construction or newly built home for sale in Burbank HOME for sale, perhaps a majestic ESTATE For sale in Burbank Hills, Horse Property or Equestrian Estates for sale in Burbank CA & nearby areas in Los Angeles County in California USA OR an outstanding return on your investments with Multi-Family Residential Income Properties for sale, You have come to the right place! Please preview all available inventory easily from the comfort of your home and call Lupe Soto Realtor for more info/showing/financing option low downpayment FHA Conventional Loan First Time Buyer (818)276-6882. Thank you for your preference. (Hablamos Espanol) Casas En Venta BBB Bueno Bonito Barato ! HOW TO QUALIFY FOR A MORTGAGE LOAN & REQUIREMENTS ? Please visit my VIDEO BLOG with updated new homes condos townhouses & multi-family properties for sale to get an idea of what the local market offers , price ranges and to preview the model or floorplan & location. First time buyers can qualify to BUY duplex triplex or fourplex multi-family 2-4 Units with FHA low down 3.5%, please contact Lupe for more info, lender referral & how to qualify to buy a property with FHA VA Conventional Thank you for your preference. Your best interest is my priority! ( hablo espanol ). Lupe Soto caters to all that YOU have dreamed of. With her individual service and commitment, Lupe aspires to inspire YOU for life. Through her local, national and GLOBAL referral network and bilingual (hablo espanol) abilities. Lupe creates an extraordinary opportunity to bring first-time buyers, real estate investors and sellers together. Let your search for a real estate professional end here. Please explore the resources within my website, you will find everything you need to buy or sell a home as well as learn about the market value of homes. You can search for homes with detailed descriptions, photos, community and school information and so much more or if you are looking to BUY or SELL a home with good FENG SHUI please contact Lupe today!. Below are the ABUNDANCE of services available to you! FOR GLOBAL PROPERTIES FOR SALE & GLOBAL NEW DEVELOPMENT properties for salearound the world! including Canada, Brasil, Mexico, Guatemala, Costa Rica, Europe & Asia, please visit my global website to view listings available for sale & select "all listings". For international Sellers looking to sell their properties to international buyers in USA, please call Lupe to learn more about LIST LOCALLY, SELL GLOBALLY (818)276-6882-Lupe . SELLER AGENT Are you considering selling your property faster and for top dollar! I specialize in local and global listings in USA, Central America, Latin America. Lupe Soto is a designee International Property Specialist, listing your property locally & selling globally. Please call Lupe for a complimentary broker opinion value of your home, condo or income property visit my blog Listing your property with Feng Shui. AREAS OF SERVICE in Los Angeles County, San Fernando Valley: Arleta, Burbank, Canoga Park, Chatsworth, Encino, Glendale, Granada Hills, Lake Balboa, Lake View Terrace, Mission Hills, North Hollywood, North Hills, Northridge, Panorama City, Pacoima, Porter Ranch, San Fernando, Reseda, Sherman Oaks, Studio City, Sylmar, Sun Valley, Sunland, Tarzana, Toluca Lake, Tujunga, Valley Village, Valley Glen, Van Nuys, Winnetka, Woodland Hills, Santa Clarita Valley: Valencia, Saugus, Canyon Country, Acton, Antelope Valley Palmdale Lancaster. GLOBAL AREAS OF SERVICE: Buying - Selling - Relocating - Compra - Venta: Argentina, Belize, Bolivia, Brazil, Canada, Chile, Colombia, COSTA RICA, Ecuador, Doinican Republica, EL SALVADOR, GUATEMALA, Honduras, MEXICO, Panama, Paraguay, Peru, Uruguay, Venezuela, Europe & Asia. 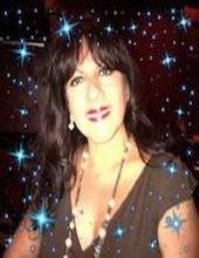 Lupe Soto Realtor & Global Agent Buy Sell Lease - Local National International Out of area homebuyers, homesellers, foreign professionals & students, relocating families to/from USA serving The Americas, North America, Central America, South America, Europe & Asia. Canada, North America, Centro America, Sur America, Latin America, Europe & Asia, incluyendo: CASAS EN VENTA en: Argentina, Brazil, Canada, Chile, Colombia, Costa Rica, Republica Dominicana, Mexico, Panama, Paraguay, Peru, USA, Uruguay, Venezuela.